So, looking at my collection, and sometimes others, I see some clear themes. However, sometimes I see a game, or two, that just don't seem to fit with the others. There are reasons for that, but I was curious how others get their collection. So, what games do you have in your collection that others might think are odd for you to own? I will get us started. I'm not a party game guy nor a dexterity game guy. I hate plastic. Why the Hell is Toc Toc here? Well, at the Essen game session at my place someone brought thier newly-purchased copy and my son liked it, my wife liked it, and I...I...kinda liked it. So I got it. But I hide it in the back room when my gaming friends come over. Would not look right next to Cave Evil, Where Eagles Dare and Here I Stand. This is the weirdest game I have. 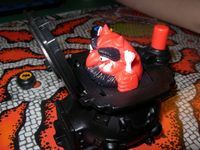 When you have a confrontation with another player you take turns puching a button on a pot-bellied stove and if the devil pops up on you, you lose the confrontation. Found this at a thrift store for $3. 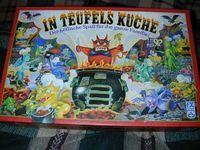 German edition but the previous owner printed the english rules and added them to the box.... never played it... not exactly sure why, just seems too complicated to commit. I mostly enjoy Fantasy, light Strategy, and the occasional Family/Party game. However, my wife is a Home Medical Herbologist and finishing her Master Herbologist Certification. 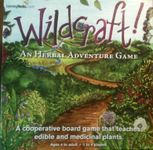 Hence, we got Wildcraft to help teach our kids about herbs (had to make some house rules). This is a Parker Brothers game from 1960 that is about yacht racing. The game comes in a large slipcase, features an over-sized board, and high-quality game components. Game play is relatively sophisticated for a game of this era. Movement of the players yachts is made by the playing of cards which bring about changes to the direction of the wind. I found a complete copy of this game and upon opening it I was enthralled by the little brass yachts and the overall simplicity of the design. The good part is I got this in an estate sale for $5. I'd really like to play it more but can't garner interest in my local gaming group.